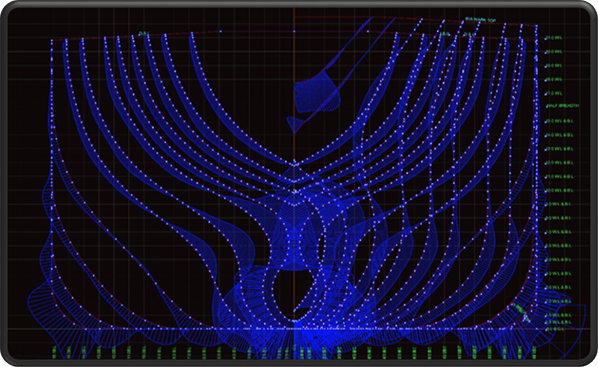 NAVAL-DME extends the digital services to complex geometries of hull shapes. 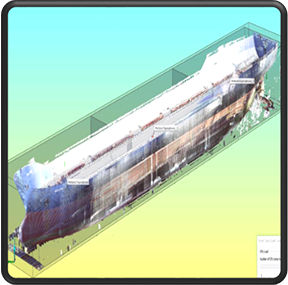 A 3D Laser Scan survey can be performed in order to record the outer hull or any kind of tank. 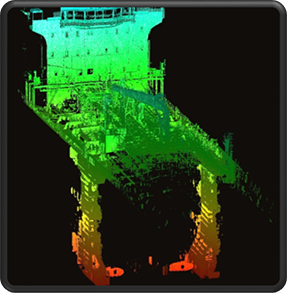 Any type of ship, from a yacht to a sailing boat to a tanker and bulk carrier, in any place and in any time, can be surveyed. 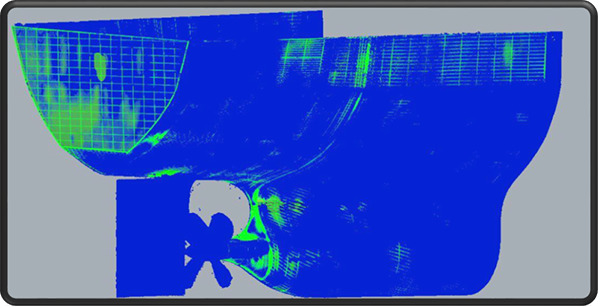 The final registered and dense point cloud is the proper initial spatial information for the extraction of any kind of deliverables from naval lines (waterlines, buttocks and sections) to a 3D reconstructed ship geometry. 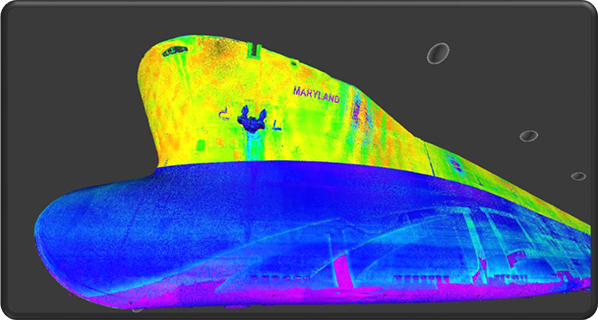 By utilizing the 3d laser scanning we can verify the hull form and dimensions, extract the hull form (in the form of offsets, lines and / or 3D surface model) and assist in the installation of hull appendages, improving the ship’s performance (Energy Saving Devices).